Good morning! 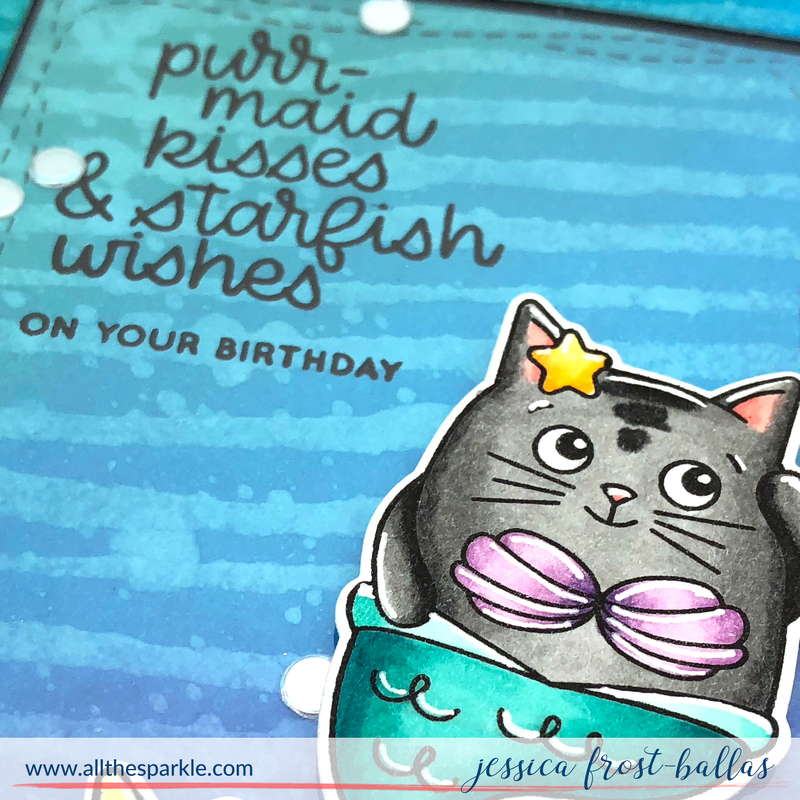 Jess here with a quick card using the GORGEOUS new Alcohol Pearls from Tim Holtz and Ranger! 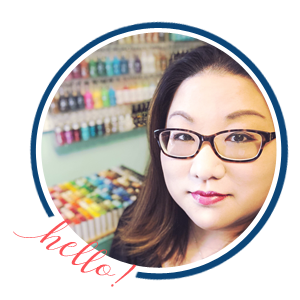 I was lucky enough to get to play with them early and I did a quick live video last week on Instagram creating some colorful background panels. 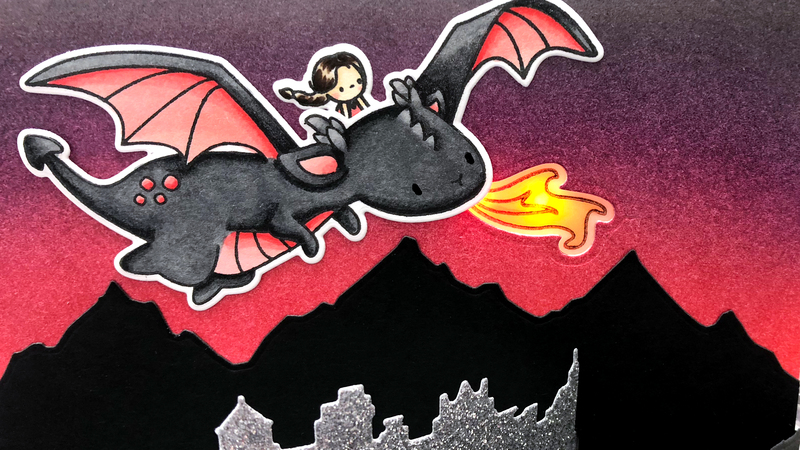 This is one of the panels I created and then turned into a card! The pearls are gorgeous on their own or mixed with original alcohol inks. Each alcohol pearl basically matches an alcohol ink color so it’s easy to mix the two! This particular panel uses both alcohol inks and alcohol pearls. The result is this vibrant, shimmery, pearlescent panel. I wish you could see the shimmer in person…it is absolutely stunning! I used Intrigue, Enchanted, and Villainous alcohol pearls along with Flamingo, Wild Plum, and Purple Twilight alcohol inks. Once the panel was totally dry I placed it in my MISTI and inked up the Center Cut Heart stamp from Simon Says Stamp (I removed the inner stamp) with alcohol lift ink. I stamped it onto the panel and then buffed off the excess with a soft cloth revealing that gorgeous design! Then I adhered the panel to a white card base. Jessica! You have piqued my interest! and I have definitely NOT played enough with alcohol inks! 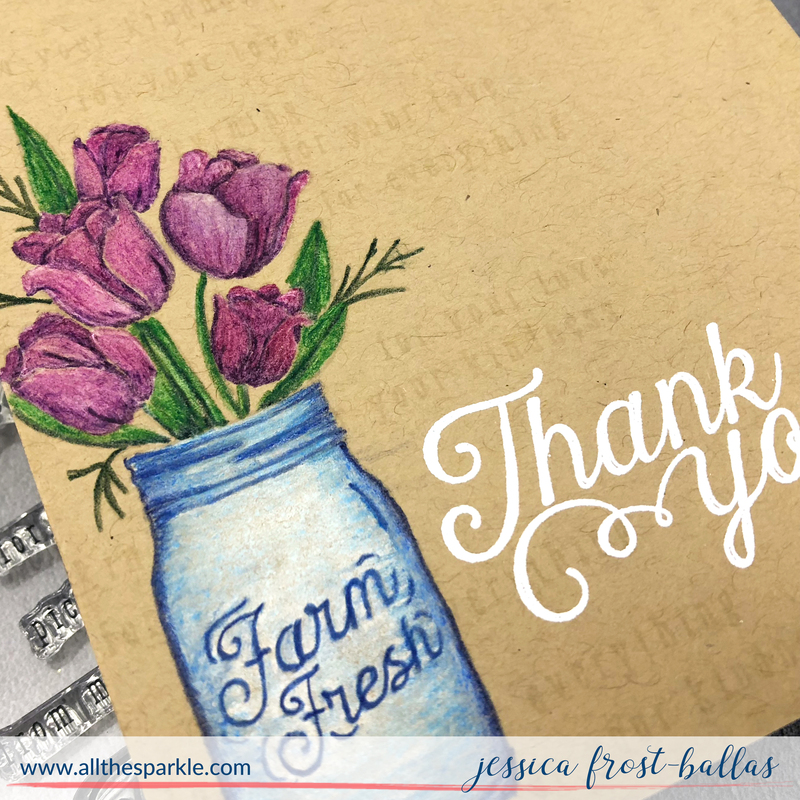 Thanks for sharing this gorgeous card! I haven’t seen these yet. Very pretty! What a stunning card!! 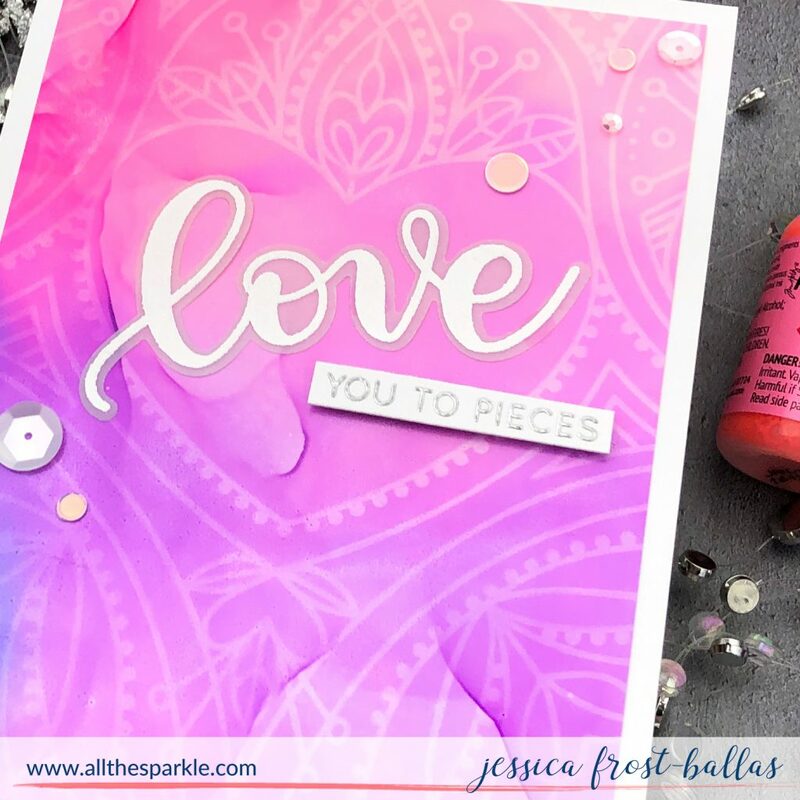 I love this next alcohol lift ink, I really want to try this! Love the vibrant shimmery color on this one! I can’t wait to try these!